10 tracks: The Easy Club Reel / Janine’s Reel * Dirty Old Town * Waltzes - The Innocent Railway / Daphne’s Trousers / A Bruxa * The Auld Toon Shuffle * The Arnish Light / The Ostrich * The Train Joureny North * The Midlothian Mining Song * The Radical Road / Murdo MacKenzie of Torridon * Fause, Fause Hae Ye Been * Ms Lyall / John McNeill’s Reel. 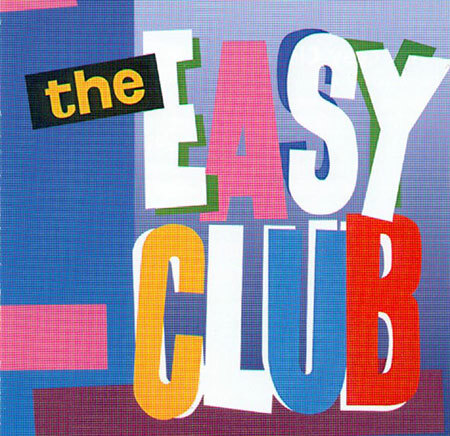 This is the CD re-release of the crucial first album by the legendary Scots band The Easy Club, released on vinyl in 1984 and not available for many years, digitally remastered from the original tapes and reproducing the original sleeve art. The musical adventures of The Easy Club, fusing Scots folk with jazz, swing, and rhythms from everywhere, were years ahead of their time and with a superb line-up. Jack Evans (guitar), John Martin (fiddle), Rod Paterson (vocals, guitar) and Jim Sutherland (cittern, bodhran, percussion). The Easy Club remain unsurpassed in their musicianship and inventiveness.